Our team of expert, certified trainers called “Change Agents", specialize in various types of fitness classes and equipment tailored to your wants and needs. Thirty minutes to an hour of cardio and weight-bearing exercises with interval training and strength training. Get fit, burn calories and build/tone muscles while working out with friends and high-energy music! Our boot camps are designed to motivate and encourage you in meeting your personal fitness goals. Each Zumba® class is designed to bring people together to sweat. 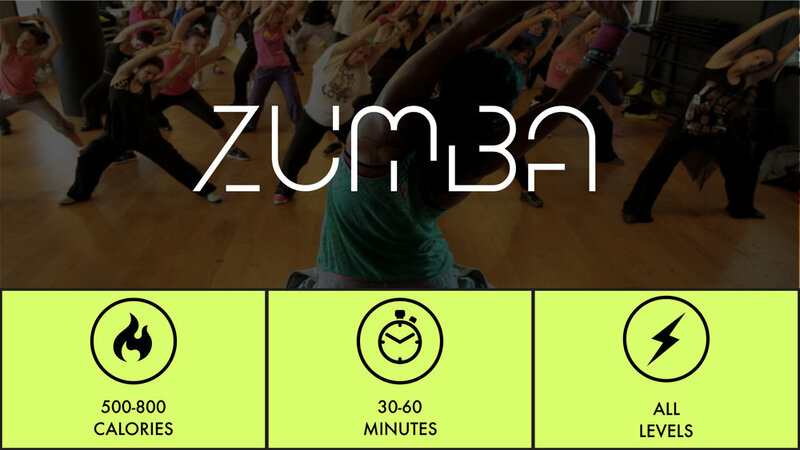 Zumba is a Latin-inspired high-energy dance workout that will make you sweat, burn calories, and tone your muscles! A class suited to all levels to build familiarity with the postures and basic principles of yoga. The emphasis here will be on careful alignment, breath and body awareness, optimal posture and body mechanics. Students experience the meditative benefits of yoga through linking of breath with movement. This class promotes strength, balance, flexibility, and stress reduction. Our instructor will lead you through climbs, descents, races, rhythm riding and sprints to supercharge your day. One ride doesn’t fit all, so you can choose between 30, 45, or 60-minute classes - all set to pumping playlists that motivate and energize your ride. People and community are at our core. Team Torch will motivate you to perform your best. No matter the class, you’re always guaranteed an action-packed experience. TRX utilizes straps to leverage the body allowing gravity to provide weight baring resistance for strength training. You are in control of how challenging your workout is-by adjusting your position you can increase or decrease the amount of resistance. TRX is a great option for at home gyms because it provides all of the benefits as expensive gym equipment. Boot camp, beats, and burn = B3! Get in your fitness zone with DJ Sumo’s energizing music flow as Torch Fitness pushes you through an intense boot camp designed to burn calories while having fun with a live DJ! You'll be burning calories left and right with this class - focusing on high-intensity exercises. Vinyasa, also called "flow" because of the smooth way that the poses run together, is one of the most popular contemporary styles of yoga. It's a broad classification that encompasses many different types of yoga, including Ashtanga and Power Yoga. Vinyasa’s strength is in its diversity. If you appreciate looseness, unpredictability, and like to keep moving, this style is definitely worth a try. There is a lot of room for individual personalities and quirks to come through. We will spend time in postures that stretch and open the body. For athletes this class is a great supplement to a rigorous weekly training schedule. For travelers, anyone lugging around a laptop, or sitting hunched over at a desk all week, this class can help get the kinks out and make space in the body. A great class for athletes, business travelers, cubicle dwellers, and 'yogis' of all levels. It's the "Yin" to all that "Yang" we spend time on during the week. Your body needs it! In this class we break down some of the more basic asanas (poses) with careful focus given to proper and safe alignment. This is playful non-judgmental environment to come and explore the basics of yoga.